The PhysicsCentral podcast is taking a much needed vacation. We'll return next week, but to tide you over until then, we're rerunning our post from September highlighting the 2014 winners of the annual Ig Nobel Prizes. 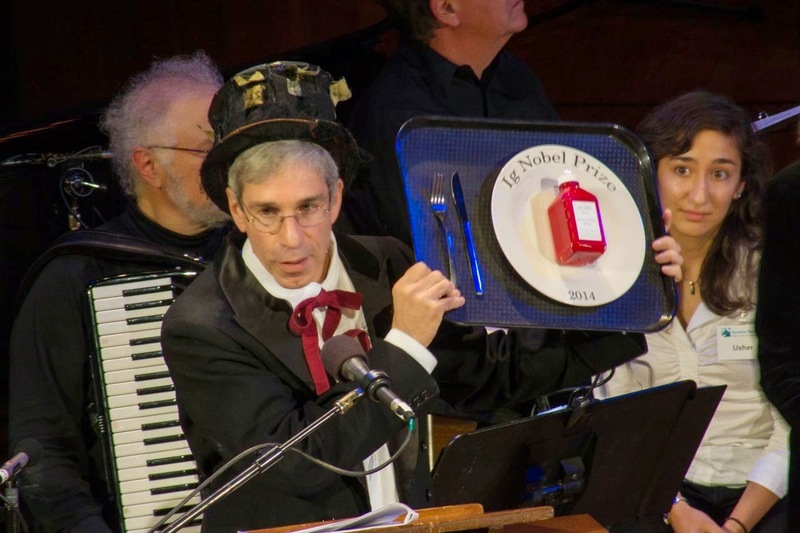 Ig Nobel founder and master of ceremonies, Marc Abrahams holds up this year's prize. The theme of the year was "Food."